There are so many incredible photographers on WordPress that I thought I’d use this post to spread the word about a photo competition that helps support social justice and environmental charities. 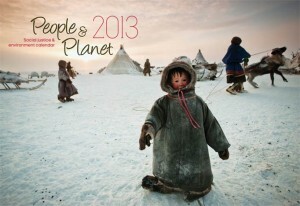 I work for a social enterprise called People & Planet and each year we run a photo competition to find the best social justice and environment photos from around the world. The winning photos are then used to publish a diary, calendar and gift cards that raise money for over 40 Australian charities. Entry is free and there is a prize pool of AU$2500 up for grabs. It’s also a great opportunity to increase your professional recognition as our products are purchased by thousands of people around the world. We welcome entries from both amateur and professional photographers anywhere in the world. All you need is a photo that tells a ‘good news’ story about a social justice or environmental issue. I look forward to seeing the entries from all the talented WordPress bloggers out there! Please spread the word to your network of fellow photographers. It’s an educational process getting to the end of the month and looking back on the photos I took. I find I often forget about events that happened earlier in the month, or that interesting thing I saw that warranted a picture, or how I was feeling on a particular day. I think that says a lot about the way we live, floating through each day barely remembering all those little details that piece together to become ‘our life’. Philosophical musings aside, it’s been great to reflect on all the fantastic things that happened in March: going back to uni, starting a veggie garden, continuing my love affair with Fitzroy/Clifton Hill/North Fitzroy, and hanging out with some of my favourite people.